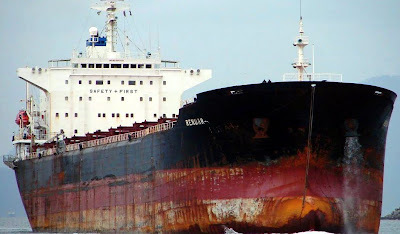 (Reuters) - Somali pirates have freed the Panama-flagged bulk carrier MV Renuar and its crew of 24 Filipinos after four months in captivity, the European Union's anti-piracy task force said on Thursday. "The ship is now sailing to a safe port," EU Navfor said in a brief online statement. Pirates firing rocket propelled grenades seized the 17,156 tonne vessel on December 11 as it headed to the United Arab Emirates from Mauritius. EU Navfor did not say if a ransom had been paid.